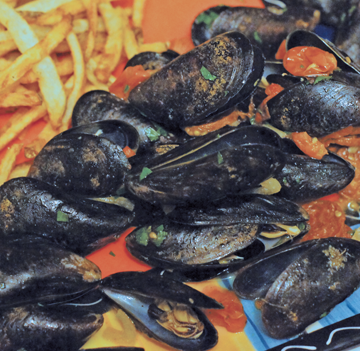 I find few things to be more comforting than a big pot of steamed mussels. I prepare them in all sorts of different ways, but this recipe—which includes Spanish chorizo—is one of my very favorites. You could also substitute Portuguese linguica. Using a large heavy pot or Dutch oven, heat the olive oil over medium heat. 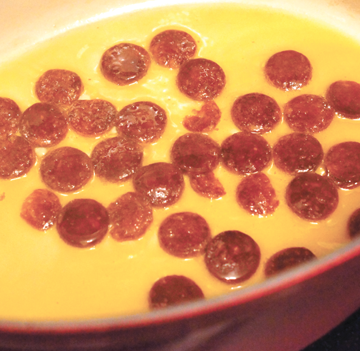 Add the chorizo slices and sizzle, stirring occasionally, until the slices begin to get brown and crispy. Add the garlic, shallot and fennel seeds to the pot and cook until softened a little. 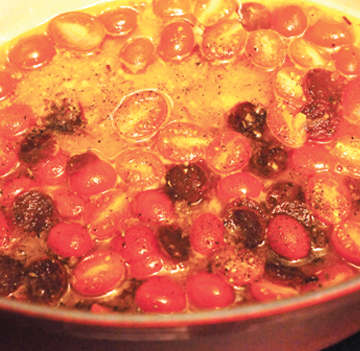 Pour the wine into the pot along with the tomatoes and black pepper. 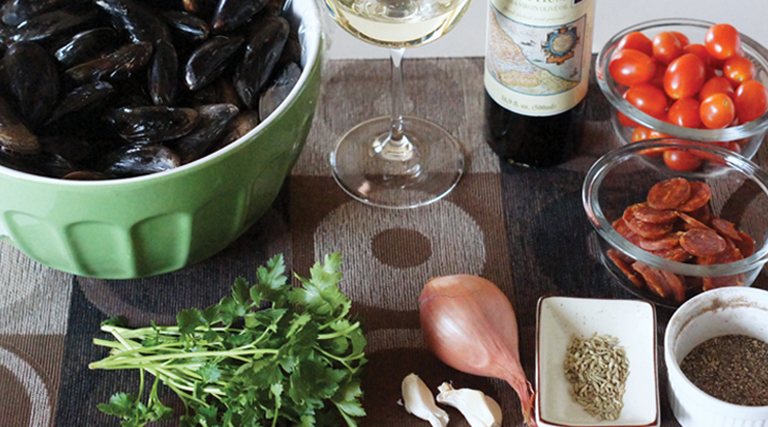 Bring the wine to a simmer. Simmer the wine until it’s reduced by about half. Add the mussels to the pot and stir well. Cover and cook, stirring occasionally, until the mussels have all opened, about 6-8 minutes. 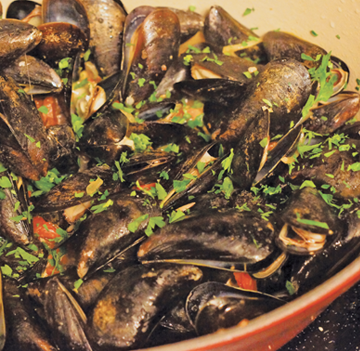 Sprinkle the parsley onto the mussels and serve with some of the broth.